This silky smooth vegan homemade horchata recipe gets a pumpkin pie vibe from pumpkin seeds, maple, cinnamon, and fresh ginger along with the usual almonds and rice. Add a shot of rum or brandy for a festive beverage that tastes like healthy eggnog. Horchata, the creamy sweet cinnamon-rice beverage hailing from Mexico, is one of my favorite indulgences. Traditionally made with ground rice, dairy or almond milk, and cinnamon all blended with water and strained, it tastes a bit like rice pudding in liquid form that somehow manages to taste refreshing. As much as I love horchata, I can rarely justify ordering a glass at taquerias knowing that it’s essentially melted ice cream full of sugar and dairy. Having a glass of horchata alongside a taco plate is akin to drinking dessert with one’s meal. When I give in to my craving, the ecstasy of milky, cinnamony goodness is potent, yet short-lived, and I’m always left feeling as though I’ve overindulged. 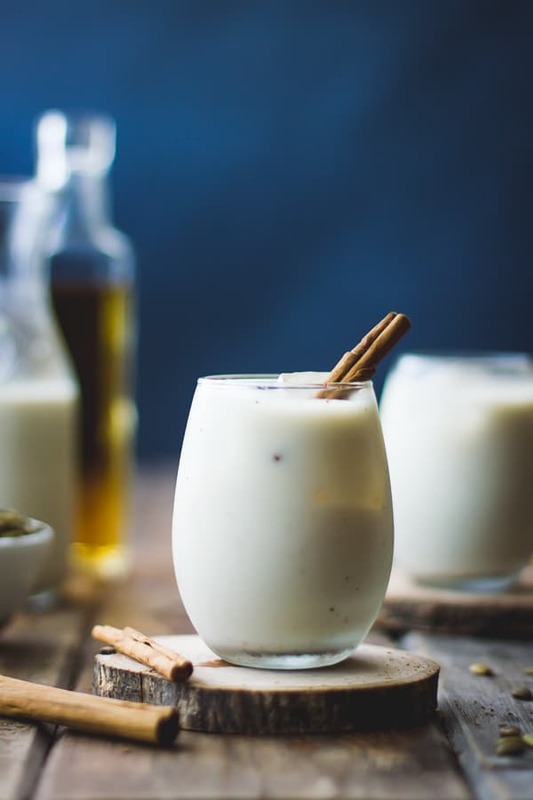 But this healthier homemade horchata recipe satisfies my craving. It’s vegan, naturally sweetened, and full of good fats and protein from almonds and pumpkin seeds. You could enjoy a glass with breakfast (horchata lattes anyone? ), savor some for dessert, or spike it with spirits for a holiday party. I’ve seen some people toast the rice prior to making the horchata to give it a roasted flavor. Others use rice flour rather than grinding and soaking whole grains of rice. 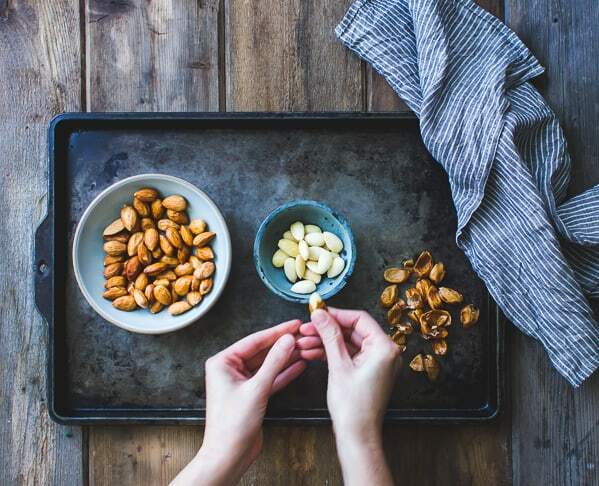 Some recipes call for blending blanched almonds into the mix. And others eschew dairy in favor of coconut milk. Luckily for me, I live not far from Gracias Madre, a local restaurant that dishes up fabulous organic vegan Mexican cuisine. Think thick handmade tortillas, soyrizo burrito bowls, vegan butternut quesadillas, and vegan caesar salad topped with avocado and pepitas. Gracias Madre also serves vegan horchata made with almonds, rice, and natural sweeteners. It tastes light and clean, and not too sweet. But a glass runs around seven dollars and never lasts quite long enough. 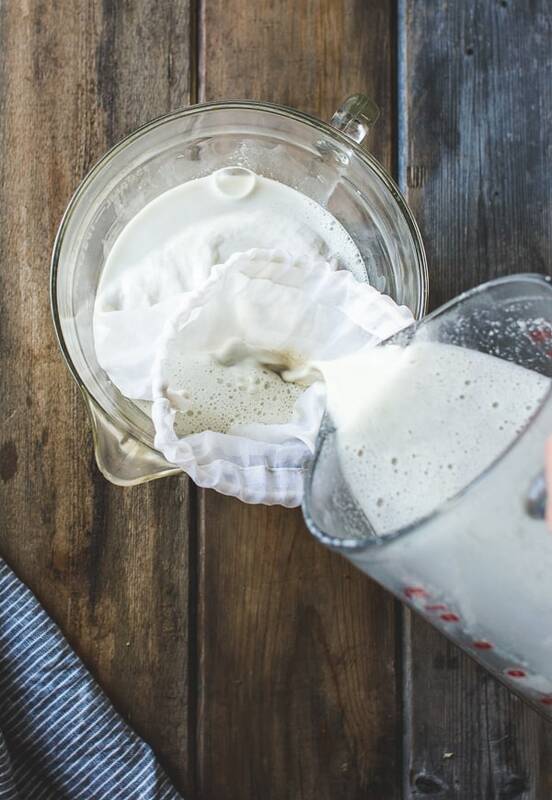 For about the same price, you can whip up a whole batch of this homemade horchata. The recipe is actually quite easy if you have a blender and a strainer or, preferably, a nut milk bag. 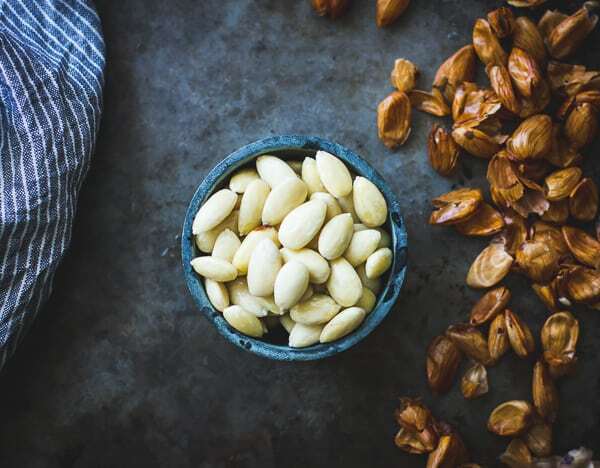 You can start with blanched almonds, or blanch your own (shown below). I actually find blanching almonds to be extremely meditative! Just boil the almonds briefly, let cool enough to handle, and slip each one from its skin. 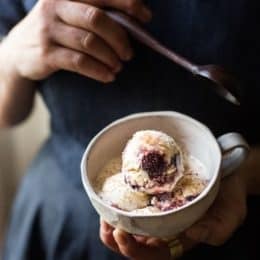 My first horchata foray was in the form of horchata ice cream (still one of my favorite and most-viewed recipes on this site!) But I began making my own horchata beverage using this fantastic tutorial from NoshOn.It. In fact, I went on a bit of a bender. As I tried different combinations of nuts, grains, and sweeteners (and booze! ), I began to have aggrandized plans. I would do a whole horchata week on TBG. New ideas kept coming to me, which I scribbled down in a little notebook while shopping, driving, or at yoga class. The refrigerator became a clutter of mason jars filled with varied hues of opaque liquid. I had previously thought that horchata was something I could never get enough of. I was wrong. We went on a road trip and brought all the homemade horchata with us. Instead of being a treat, I felt obligated to drink it. One was a particularly thick, earthy version, and with no ice to cut it, it was a far cry from the refreshing beverage of its origins. We dubbed it “punishment horchata” as we forced down what seemed like a never ending jar. I quit horchata cold turkey after that. After an horchata drought that lasted several years, I decided to give vegan homemade horchata another go. I blending up this fall version that stays closer to its refreshing roots, and I’m so glad I did. 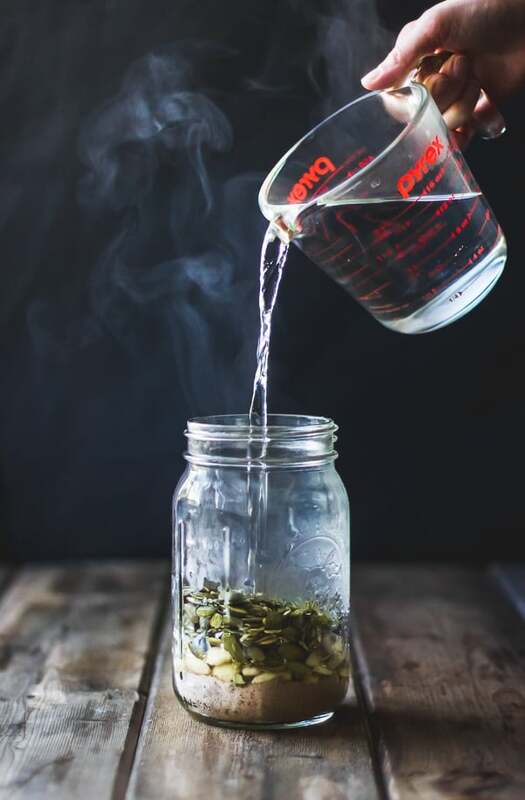 This homemade horchata tastes light and bright like Gracias Madre’s, but with a bit of fall flair from ginger, pumpkin seeds, and just enough maple syrup to give it body. 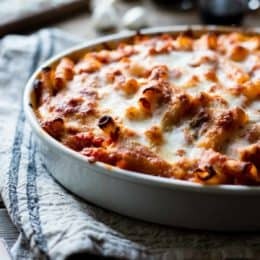 This recipe is a 2-day process, but the steps are quick and easy to execute. 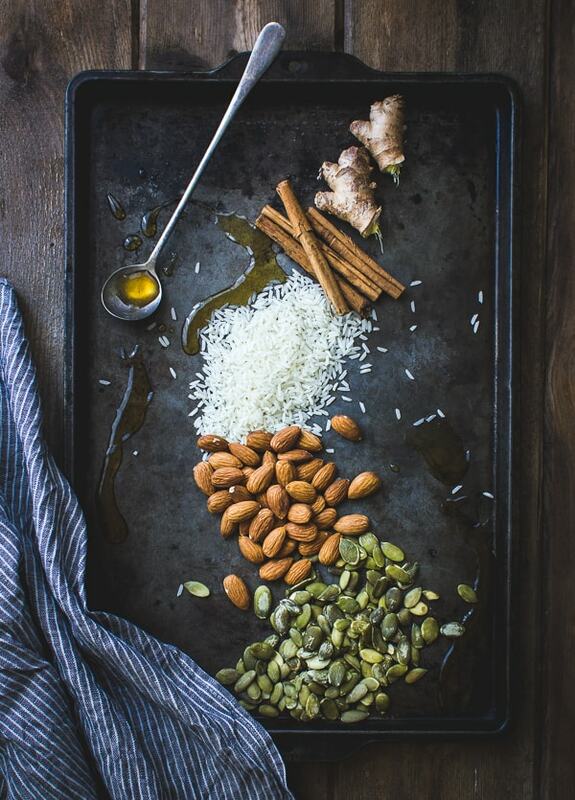 Day 1: Grind the rice and cinnamon stick in a coffee grinder, then combine with blanched almonds, pumpkin seeds, boiling water and soak overnight. Day 2: Put everything in a blender, add maple syrup and fresh ginger, and blend smooth. 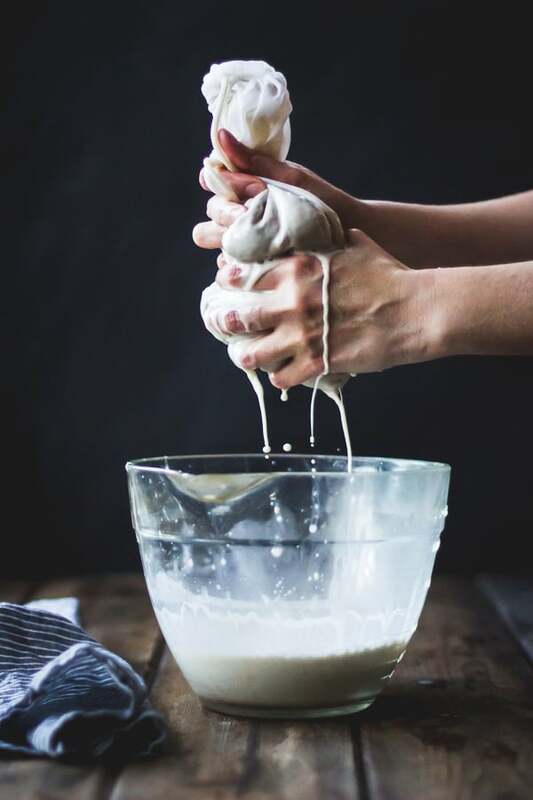 Strain the mixture through a nut milk bag or a few pieces of cheesecloth. If you manage to save some of this vegan homemade horchata for later, store it in the fridge for up to several days. It would be a sweet addition to a holiday party. 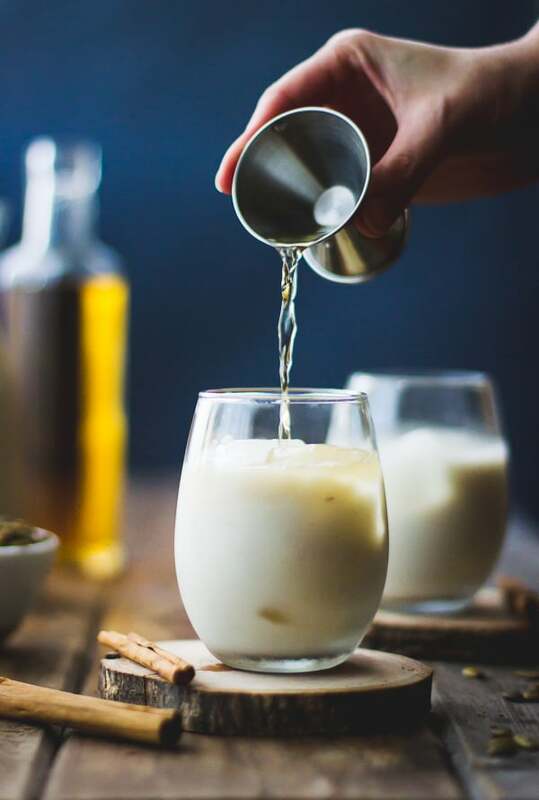 This homemade horchata gets a touch of earthy flavor from pumpkin seeds, floral topnotes from fresh ginger and jasmine rice, and classic horchata taste from cinnamon and almonds. 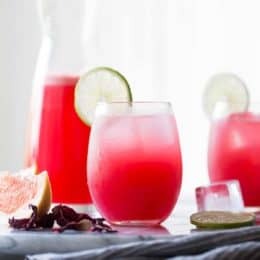 With nourishing, whole ingredients and natural sweetness, you can enjoy a glass any time of day. With a tipple of booze and a few ice cubes, this drink is anything but a punishment. 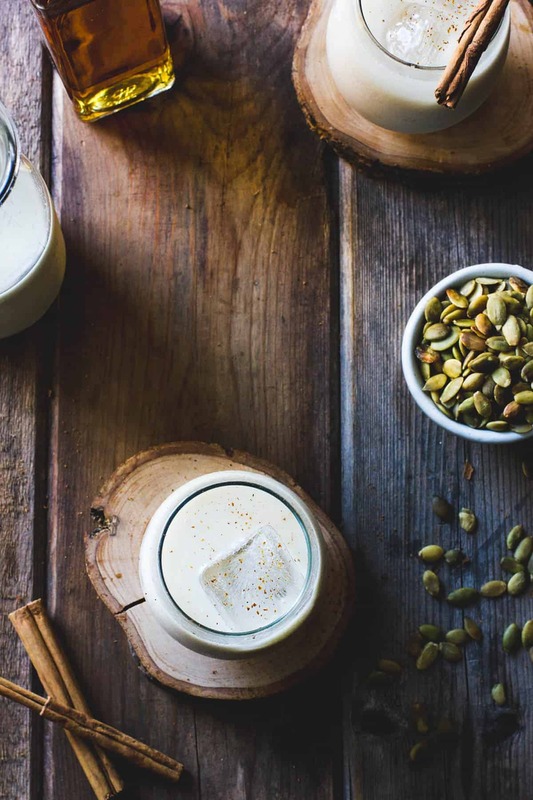 This silky smooth homemade horchata recipe gets a pumpkin pie vibe from pumpkin seeds, maple, cinnamon, and fresh ginger along with the usual almonds and rice. Add a shot of rum or brandy for a festive beverage that tastes like healthy eggnog. Note: If you don’t have blanched almonds on hand, do be sure to take the time to blanch your own as the almond peels will turn the horchata brown and muddy the flavor. 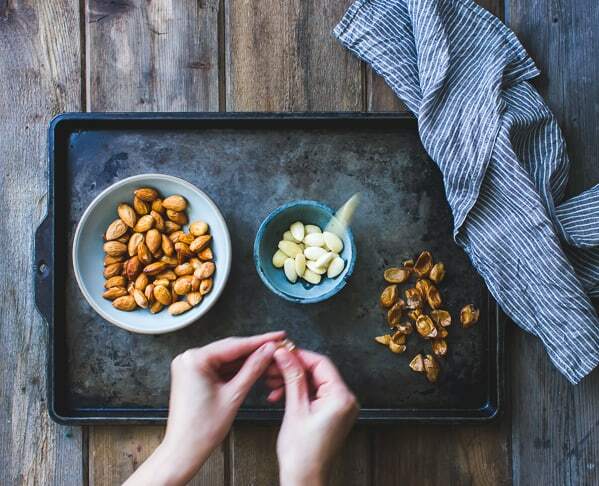 It only takes a few minutes to blanch this small quantity: bring a small saucepan of water to a boil, add the almonds and simmer until the skins are loose, 1-2 minutes. 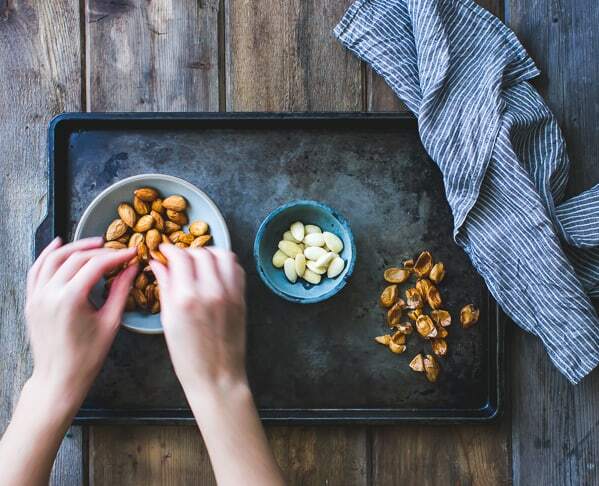 Drain, rinse with cool water, and slip the almonds from their skins. 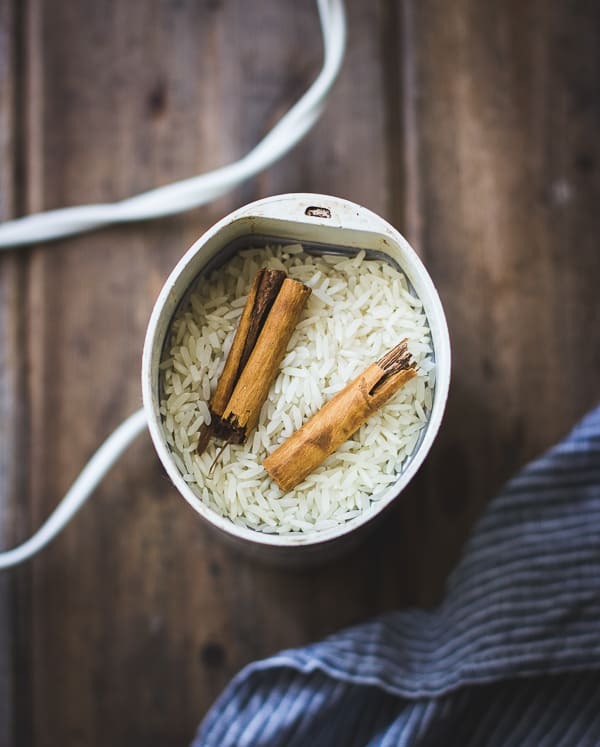 Place the rice and cinnamon stick in a clean coffee or spice grinder and grind finely. 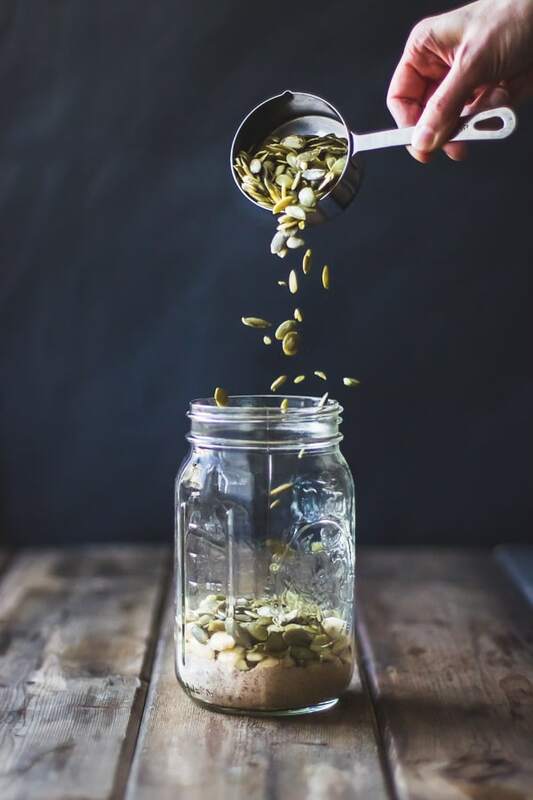 Place in a large mason jar or heatproof bowl and add the almonds, pumpkin seeds, and boiling water. Give it a stir, cover, and let sit at room temperature for 8 hours or overnight. Pour the mixture into a blender and add the 5 tablespoons maple syrup and the chopped ginger. Blend until smooth, starting on low and gradually increasing the speed to high, adding the cool water slowly. (Note: if you have a high speed blender, be careful not to puree this to oblivion; you want to be able to filter out the solids.) Strain the mixture either through a nut milk bag or through a fine mesh strainer, pressing on the solids to extract all the good stuff. A small one may work best. Taste, adding the remaining tablespoon of maple syrup if you like it sweeter. Chill the horchata until cold. It will keep, refrigerated airtight, for up to a few days. The mixture will separate as it sits; give it a good shake to bring it back together. Serve the horchata over ice. Spike with a shot of Calvados, brandy, or rum if you like. For a nut-free version, use all pumpkin seeds in place of the almonds. 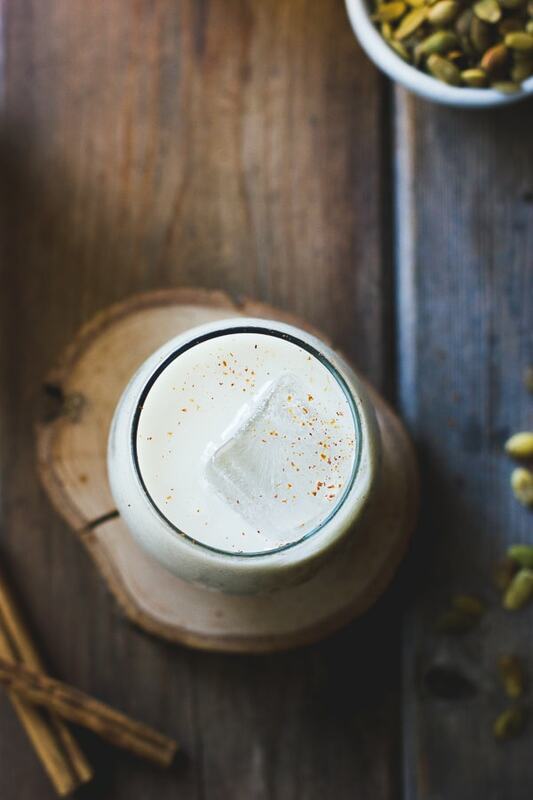 For a more classic horchata, use all almonds in place of the pumpkin seeds and omit the ginger. These photos are stunning!!! I love the shot of the almond flying across the baking sheet. ; ) I love, love horchata, and to me it's gotta be served over ice. I am looking forward to giving this a try (grown up style). this sounds so so delicious! love horchatas, with pumpkin seed it sounds simply magical. I am positively smitten with this recipe. 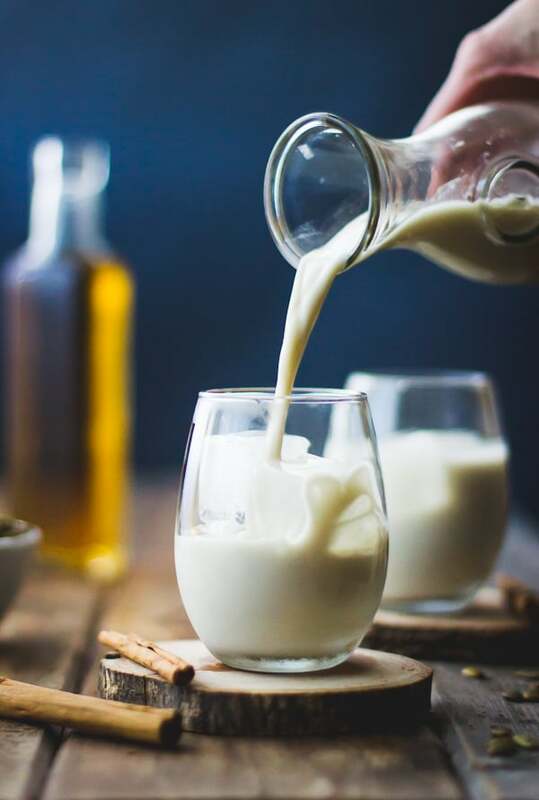 I've never made horchata of any kind, but am definitely going to after reading this! Yum! Aw, thanks Katrina! It's surprisingly easy and so tasty. 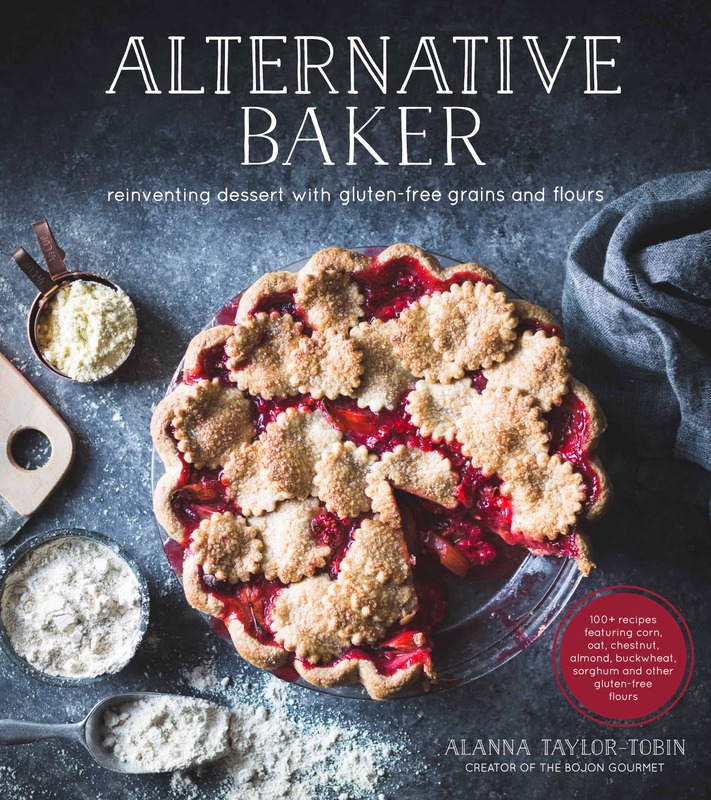 Alanna, this is simply stunning and I love the way you lightened it up! Can't wait to try this out! I used to make homemade eggnog for my annual holiday extravaganza, but recently turned vegan. I've been hoping for *just* this kind of inspiration! Thank you, thank you! We love horchata and this sounds delicious. Since I'm currently obsessed with coconut milk, part of me wonders if some coconut milk or cream, for that matter, would make it more eggnog-y and rich? Maybe I'll experiment and get back to you. 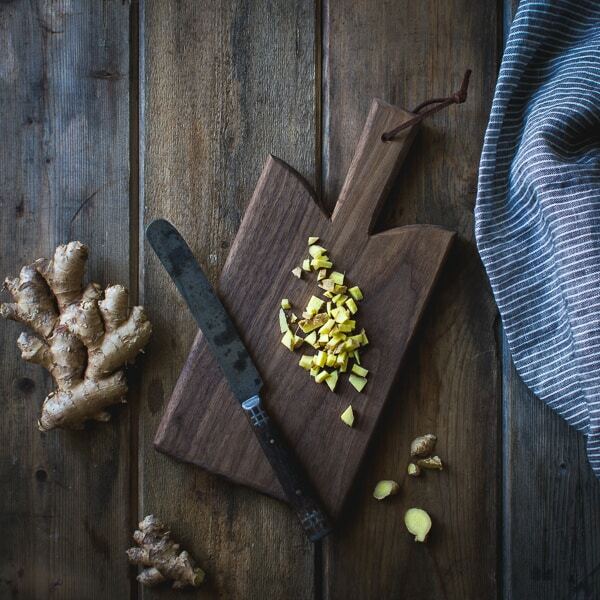 Thanks, as always, for sharing your food obsessions and gorgeous photography with the world! Oh, this is perfect for you then! I think coconut milk or cream would be delicious here; I'd definitely use a good dark rum to pair it with in that case. Keep me posted! I've never heard of horchata before… but it looks delicious. And your photos look delicious too! Hahahah punishment horchata!!! Too funny. This looks like the exact opposite — sooooo good!! And oh my gosh, I never, EVER get tired of staring at your mindblowing action shots. So amazing, as always! Somehow I have lived in California for an entire fifteen years without ever having tasted horchata. How? Especially if there is any resemblance whatever to eggnog? Must try! Wait, what?! How is that possible? More reason to get thee to Gracias Madre! I've never had horchata before, but by reading the recipe it sounds delicious. Will have to try it soon. Thanks for an awesome recipe for holiday! I have tried Horchata.. I think with calvados it is even better! I have the same heavy gross complaint about horchata (even though I do love it still!). 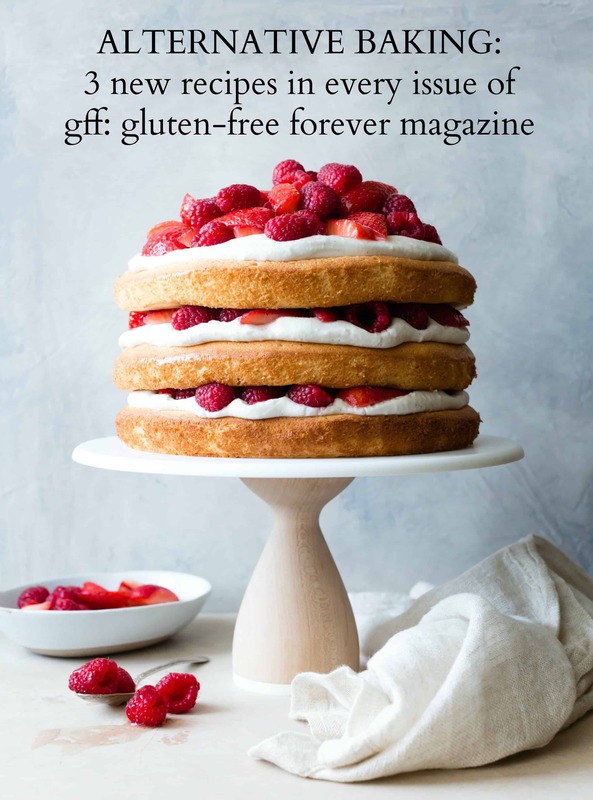 I love this vegan version though – Lucas is going to beg me to make this! PS. These photos turned out GORGEOUS, Alanna. As ever, I'm totally in awe of your amazing photography and blown away by how you manage to really capture so much life in your pictures. Plus this sounds totally intriguing – I've not really been of fan of horchata when I've tried it but this version sounds dreamy. That is so kind of you to say, Kathryn; I've been a fan of your recipes and photography for many years. I hope this changes your mind about horchata! How amazing is this? A healthy drink to which I can add Calvados if desired? And magically all the ingredients are at hand (except Calvados but that can be remedied). A lovely project for a snowy 15 degree day. Haha, aw! Thanks for saying so! I'm like "Yeaaaaaah! Horchata for life!" Disclaimer: although I visited Spain recently (they make a version with tigernuts), I have never in my life had a glass of horchata. Yet I already know I'll love it. After reading this recipe I have no more reason to not make some. Horchata, here I come! Yeah, horchata for life! 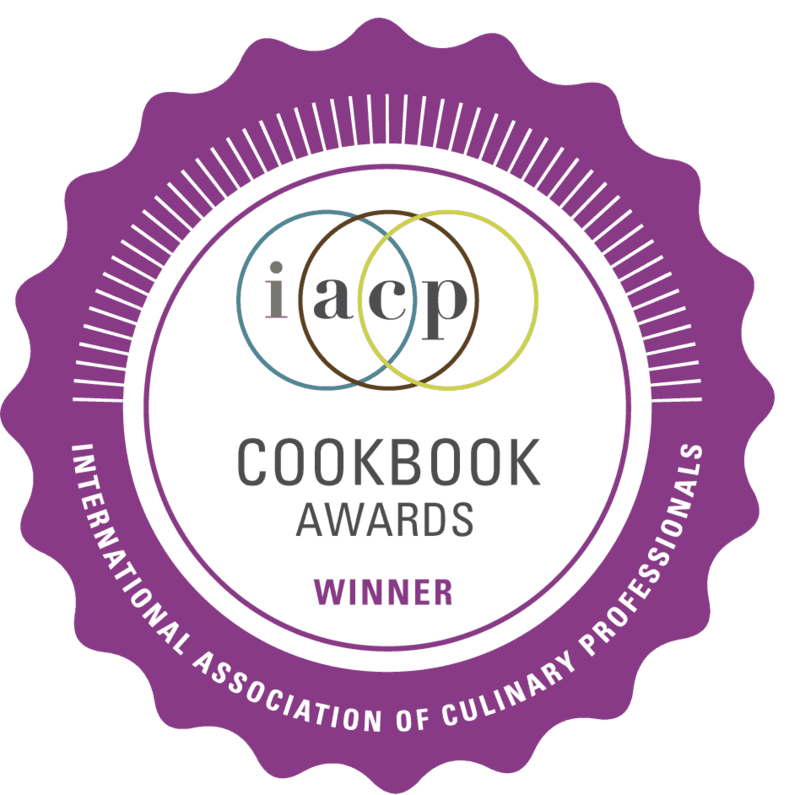 :) Hope you love this as much as we do, Sini – I'll be so honored if you give it a go. I'll have to look up tigernuts – I've never heard of those and now I'm so curious! What would you suggest as an alternative to almonds? They are not an option due to allergies. You might try a different nut (pecans?) or extra seeds or rice. Let me know!